This recipe is a good way to use up Christmas leftovers such as egg yolks from Pavlova and ham. I wont give exact amounts because it really doesn't matter, carbonara is not an exact science. You don't have to use spaghetti squash, you can using zucchini or shirataki noodles, it doesn't matter they just need to be hot when adding the sauce because the heat of the pasta is what cooks the egg. 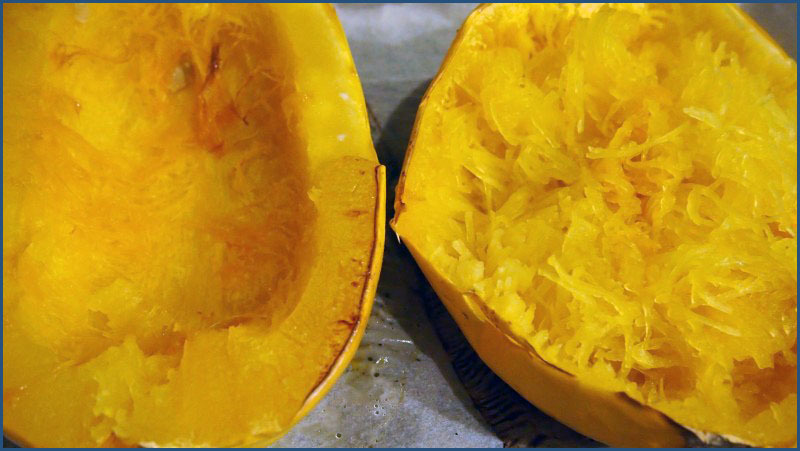 If using spaghetti squash, cut in half lengthways, remove seeds and bake cut side down in oven at 170C for 45-60 mins depending on size. When your pasta is almost done, fry off onion, ham, mushroom and garlic. When spaghetti squash is done just tease out the strands with a fork. Add hot pasta to ham mixture. Beat egg yolks with some cream, add parmesan, pepper and parsley then stir into pasta. 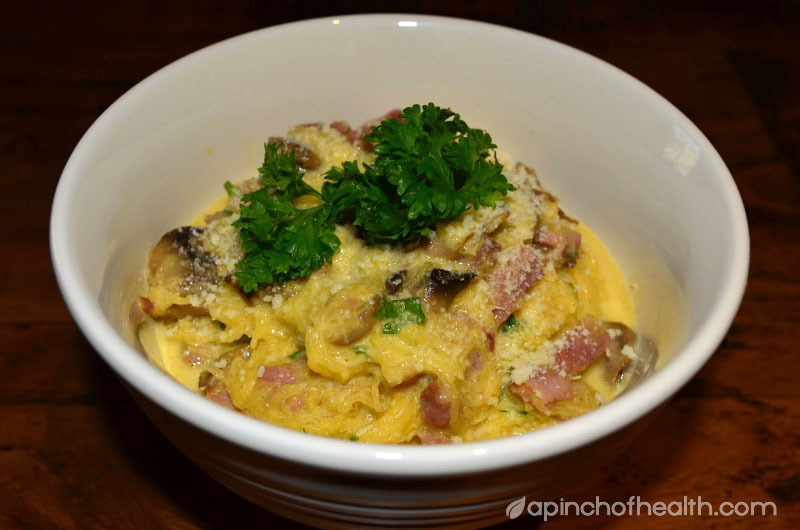 The heat of the pasta will cook the eggs without scrambling them. I love the look of this and made the chicken one you posted here and it was fabulous. Unsure if we can get the spaghetti squash here. I googled it just the other day and got confused with the preparation of it ????? I grow mine it's easy to grow and keeps for a long time, I am eating ones from last summer! I used to bake mine whole but I find it easier to cut mine in half and scoop out the seeds before putting in the oven, much easier that way. Thanks Sherrie - this looks great ! The post was edited 1 time, last by 2kellen2 ( Dec 29th 2013, 7:11pm ).